It's still a dangerous world out there, the empty lands wrecked by climate change, dead cities hollowed out by industrial flight, shadows hiding predators animal and human alike. Still, when the initial pioneer walkaways flourish, more people join them. Then the walkaways discover the one thing the ultra-rich have never been able to buy: how to beat death. Now it's war – a war that will turn the world upside down. 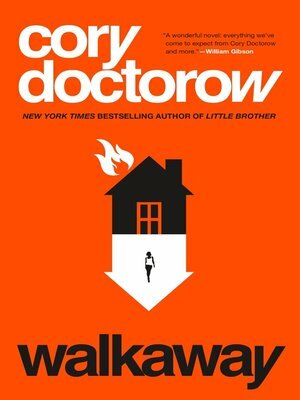 Fascinating, moving, and darkly humorous, Walkaway is a multi-generation SF thriller about the wrenching changes of the next hundred years...and the very human people who will live their consequences.